Though it's terrific to finally have a national food guide which if followed would lead individuals to far healthier diets and eating patterns than current Canadians' likely average diets, it's the guide's impact on the food environment and food culture that I think matters most. Even if no one ever downloads a copy it, the new food guide will likely have profound effects on Canadian eating patterns and food culture, and it will do so in a manner that doesn't necessitate personal responsibility or privilege. It will change Canadian school food policies as the guide serves Canada's schools as the scaffolding upon which those policies are built. 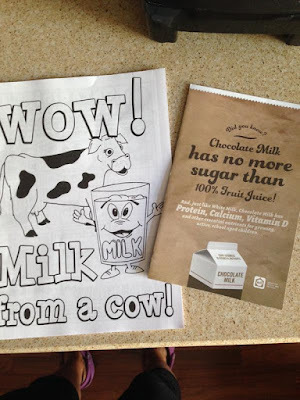 This iteration, with its removal of juice and sugar-sweetened (chocolate) milk from the basket of healthy choices, will inevitably lead to the slow removal of both from the school system. Of course that won't mean parents who want their children to drink either will be banned from sending them in, it just means that schools will stop selling both and providing them in industry sponsored initiatives like breakfast and snack programs. 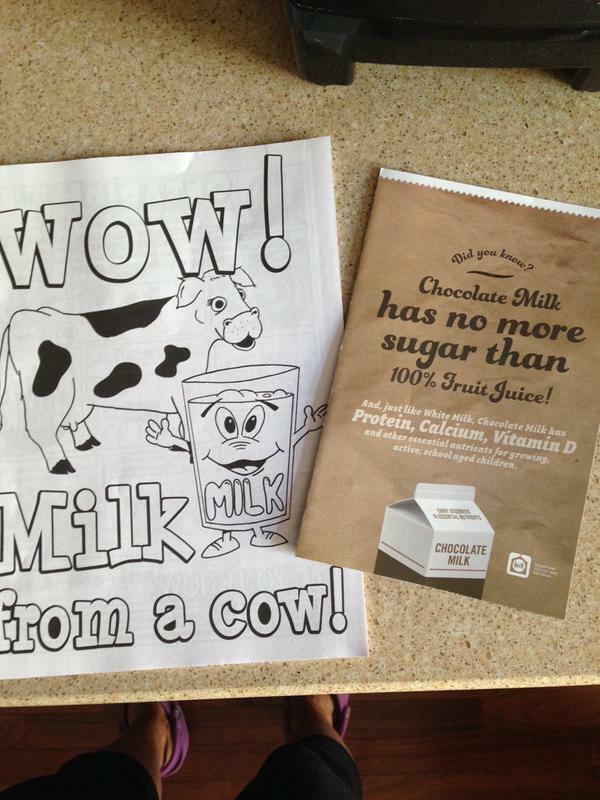 It also likely means the end of "dairy educators" being invited to promote milk to elementary students, and certainly the end of kindergartner chocolate milk is good for you colouring books. But don't expect this to be an overnight change, but give it half a decade or so and I think both will be pretty much gone. It will similarly change what's being served in hospitals and nursing homes to patients, and will lend strength to public health advocates' calls for reforms to the foods being sold in arenas, government offices, and more. It will hamstring the food industry's marketing abilities as no longer does the guide suggest a minimum number of servings are required daily, a change that the dairy industry especially, who also no longer enjoy the unwarranted categorization of dairy as a food grouping of its own, will resent as they used the prior guide's minimum serving recommendations relentlessly in their advertising. It will also hamper the juice industry's efforts in that regard. It will bolster ongoing and future efforts related to nutritional reforms in Canada including banning food advertising to kids, front-of-package claims, and nutrition fact panel changes. It will, as past guides have done, slowly seep into our country's nutritional consciousness whereby media stories on various nutrition related issues will mention the guide's recommendation. For instance a story on juice or chocolate milk is likely now to include the message that neither are considered healthy choices by Canada's Food Guide. Over time, these sorts of mentions, lead to food culture shifts. It will, as past guides, also be taught to children in schools, and provided in RD's and MD's offices, and in prenatal classes, and more - and in so doing, again, will slowly influence the country's thinking around food and nutrition. Now none of this will happen overnight, but check back with this post 5-10 years from now and see whether these predictions held up. I'll tell you something else, given so many years of being incredibly critical of Canada's Food Guide, it's bizarre, and a real pleasure, for me to be praising it. Tomorrow, what I'd still love to see change in Canada's nutrition landscape.